The Argos team has been helping the retailer become the leading destination for all things play ahead of the festive season – and the impending hoards hitting the high street to buy the must-have gifts for the festive season. To do so, we thought we’d play on the retailer’s heritage – after-all, who doesn’t remember sitting and circling the dream gifts and handing tattered catalogue pages over to their parents in the hope that just some of them might appear under the tree? Taking over a space in the Tottenham Court Road store, we created an exhibition of play. 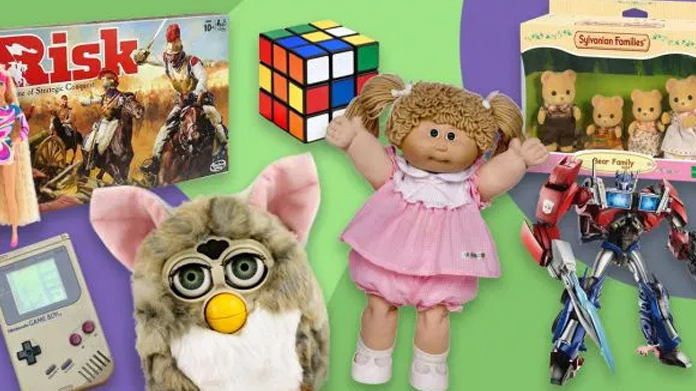 We celebrated the best-selling items from Argos’ 45 year history. From Mr (and Mrs) Potato Head to Tracey Island and Furby to TOY GOES HERE, several generations favourite toys were on show, carefully protected from prying hands. At the same time, we set up a play zone so that kids (young and old) could come and get hands-on with some nostalgic playthings, truly bringing the whole thing to life. And the coverage has been pretty remarkable (though we do say so ourselves – and we do). There’ve been absolute belters across the Daily Mail, Daily Mirror, METRO (alongside a stunner in the paper), HuffPo, the iPaper, the Daily Record, (which also did us proud with a double-page feature in print). And there were roughly 150 pieces across the country thanks to a cheeky spot of PA wizardry from the team.